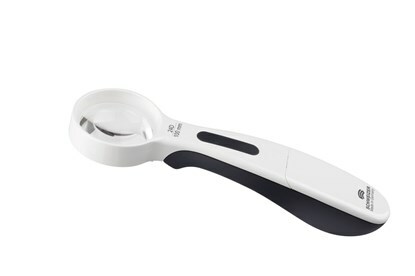 Hand-held magnifier without illumination in a revolutionary new style (design patent pending). Ergonomic design which creates automatically the correct distance between the object and the lens at a natural and stress free position of the hand and the arm. The end of the handle acts as a support which adjusts easily to manifold seating positions and postures. 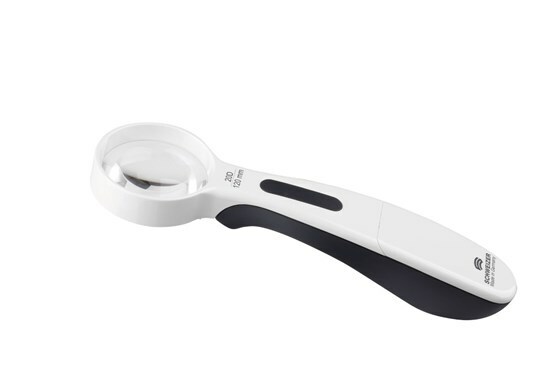 The same comfort for right-hand and left-hand use is also ensured for all round lenses by the symmetric handle shape.